Undeterred, US Airways followed up with yet another thumb in the eye of its best customers, eliminating flight bonuses for elite Dividend Miles members. The moves were widely derided by industry commentators and consumers, even giving rise to a website, SaveDividendMiles, purporting to represent the interests of disgruntled Dividend Miles members with combined account balances of 1.6 billion miles. 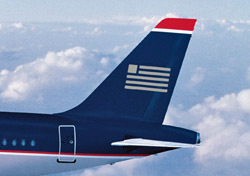 Preferred (elite) members of US Airways’ program will again earn a minimum of 500 miles for all flights. Preferred members will again receive elite flight bonuses, commensurate with their status. Elite bonuses will also be awarded retroactively for travel between August 6 and November 19. The 500-mile minimum will be reinstated for all Dividend Miles members on US Airways’ shuttle flights between New York, Boston, and Washington, D.C.
Of course, no matter what US Airways claims in its news release, the changes have as much to do with the airline’s competitors as they do with its customers. It is typical in the airline industry for carriers to make airfare and frequent flyer program changes with the hope that competitors will follow, creating a new industry standard. That’s what happened last year, when [[Delta Air Lines | Delta]] broke with the then-current three-year [[Mileage Expiration | mileage-expiration]] policy and reduced the life of miles in its SkyMiles program to two years. Other airlines used Delta’s move as cover to amend their own policies, and today the prevailing standard is either two years or 18 months. Other airlines did indeed follow US Airways’ lead in eliminating the 500-minimum-mile policy from their programs. But they were savvy enough, either initially or belatedly, to exempt their [[Elite Programs | elite members]] from the harsher policies. So US Airways found itself exposed, with a policy embarrassingly out of step with competing airlines, and was forced to retreat to a more moderate position. US Airways remains exposed in other areas, however. The Phoenix-based carrier is known for imposing the most fees, and the highest fees, for transactions associated with its Dividend Miles program. And in particular, it’s one of only two airlines charging a fee just to issue an award ticket. Eliminating that onerous [% 2616921 | | award-ticketing fee %] would be a smart move on US Airways’ part. And, more generally, given their dismal track record in standards-setting, US Airways should consider a more cautious approach when deviating from the norm. Because where US Airways leads, other airlines wisely choose not to follow.